With a big huge stretch, I woke up and instantly noticed that the air in Kyoto was different, crisper. We had left behind the humidity of Okinawa, and the smell of autumn around me had me unbelievably excited to start the day. It’s always a blessing to have a like-minded travel partner: Sally is training for a marathon, so she’s in great shape for walking, and we’re both used to early mornings. We’d agreed to start early, and pack as much as we could into our short time in Kyoto. Our first stop was Fushimi Inari Shrine. 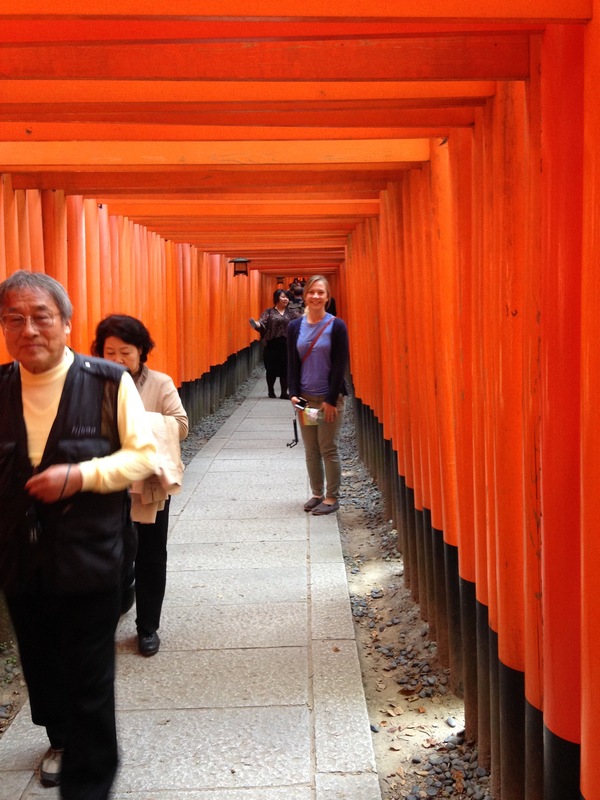 I’ve also heard it described as “one thousand Torii Gates”, and it’s easy to see why. At the bottom of the hill we were greeted by fox statues, which a sign told us were common at shrines because of their role in folklore. We entered a path of Torii Gates that continued on and on, seemingly forever, surrounded by a beautiful forest on each side. It was literally breathtaking. 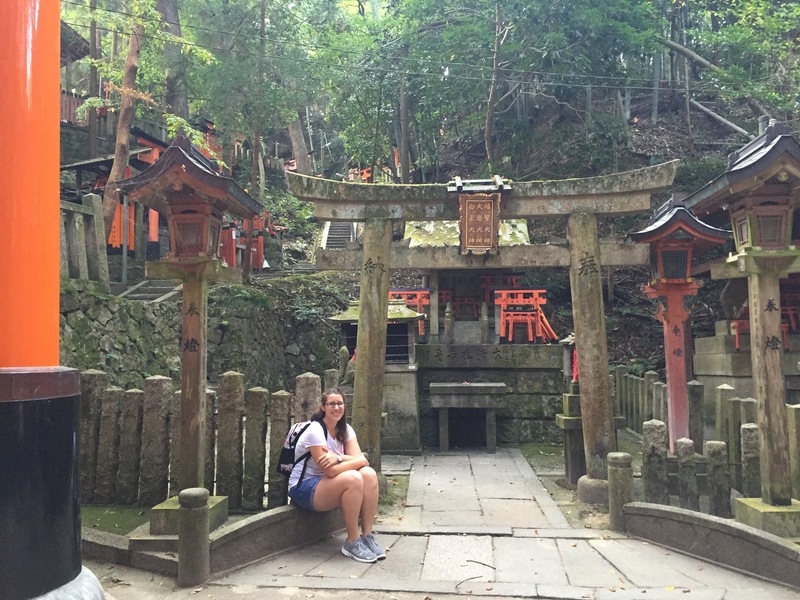 We headed straight uphill, through the tunnel of Torii Gates, and eventually we were the only two hikers left. During the hike, Sally spotted a few people with jugs lining up at a spot where water was pouring from the rocks. Assuming it was somehow special, I got in line, and filled up my water bottle. I copied what the man next to me had done, and drank deeply. What’s the worst that can happen, I’ll die? I thought. I asked the man, in my limited Japanese, if it was okay to drink, and he nodded and lifted his jug. So that was promising. We kept hiking. 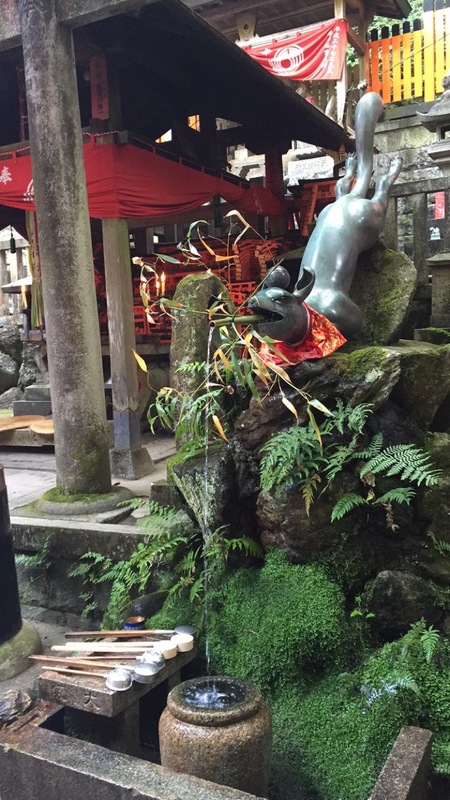 Of course, Fushimi Inari provided many beautiful spots to pray for our loved ones. I offered prayers of accomplishment, and bought a tiny Torii Gate with the prayer written across it. With our legs aching from the climb, we headed off for a snack and a pick-me-up. We found a coffee shop, and asked for two lattes. 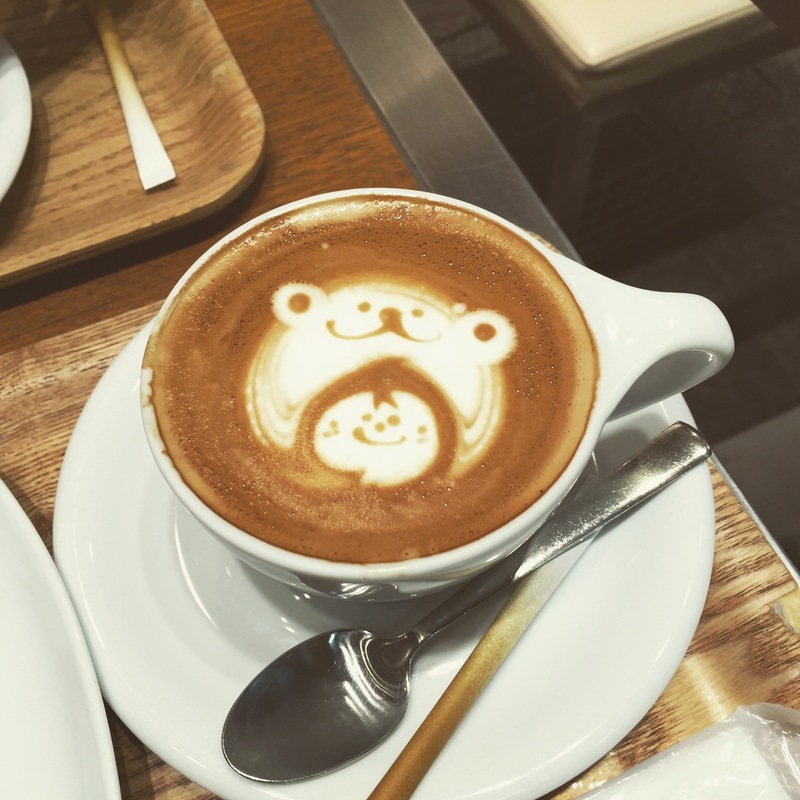 Like the over-eager tourist that I was, I added “with a design!” (I knew they did latte art at this shop). They did not disappoint. It was adorable! 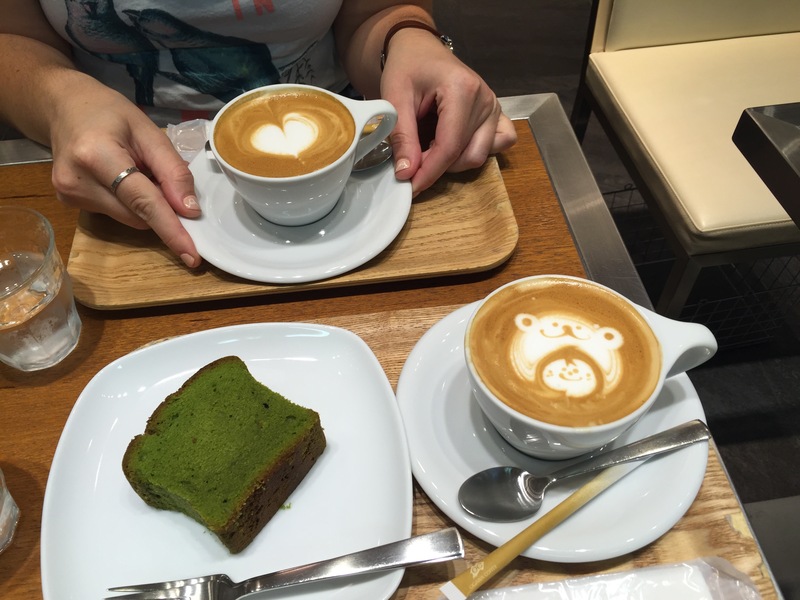 Sally and I celebrated our morning with the cutest little cheers ever, and a matcha cake. Delicious. Kyoto already had my heart. 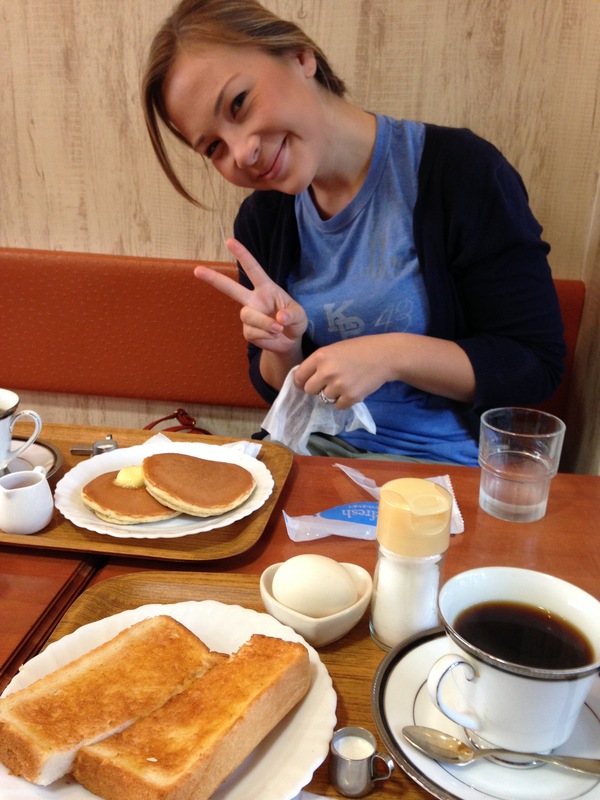 ← Kuidaore: Eat Til’ You Drop!